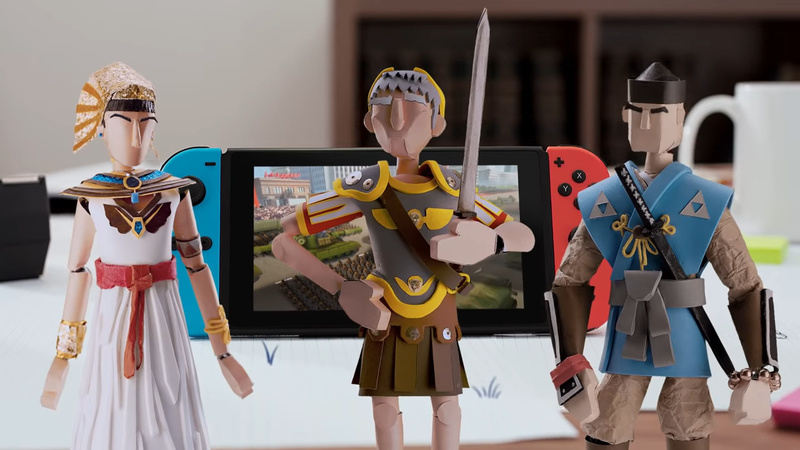 Civilization VI isn't the easiest of games to play and considering this is a genre and series that doesn't often make its way to consoles, it's easy to understand why Firaxis games and Nintendo are running video episodes for the upcoming release, teaching viewers how to play. In the latest episode, we learn how to be victorious. It's as simple as declaring war against other civilizations and then capturing their capital cities. Alternatively, you can resort to a more peaceful method - like recruiting artists, musicians and more to attract tourists and earn a cultural victory. You can also strive for a religious or scientific victory - where you either convert the world to a certain faith or go above and beyond to beat the opposition in the technology race. Take a look at the video below, and also be sure to check out episode one and two if you missed them. Will you be playing Civilization VI when it arrives on 16th November? Are you enjoying these episodes so far? Tell us below. Not my cup of tea really. 1) The reviews (hopefully detailed and listing any changes, additions, or omissions aside from the aforementioned online multiplayer). 2) Any word on whether Firaxis/2K is going to support the Switch version after its initial launch (such as DLC and expansions like Rise & Fall). While I mostly play solo, the lack of online multiplayer honestly doesn't bother me, but no hotseat local multiplayer option definitely does. This would make an awesome party game, but realistically most users won't have friends with their own Switches and copies of the game to do the LAN thing. I doubt at this point they could patch in such a feature, but it's a real bummer and a missed opportunity that anyone could see should have been implemented if at all technically feasible. If any console to date has been tailor-made for hotseat turn-based gaming, it would have to be the Switch. It will be honestly hard to choose which I play first, Pokemon or Civilization. Probably Civ, since I ordered Pokemon Physical and Civ I plan to download. But you can bet I will be raging and angry if they manage to screw up this port. Because they got, and I have allowed myself to be really excited ever since the first announcement. I really like these video tutorials. @AtlanteanMan exactly! I love these type of games but I really want to know how well controlling it translates onto the Switch (especially in docked mode) and I'm concerned with 2K's track record on the Switch. I will be watching out for and studying the reviews very keenly. I'm very interested in this but I'm waiting on reviews since 2K has had a hit or miss track record on their ports to the Switch. I'll be picking this up next Friday. It will be the first retail game I've bought since May of this year. I'm an old-school Civ player from the PC. Really hoping this game lives up to my expectations of what a Civilization game is all about. These videos are really well made and have actually made me somewhat interested in a game I had little interest in before. That thumb nail looks like an old Josh Thomas from the bit block lol. I took the chance and pre-purchased the game digitally. 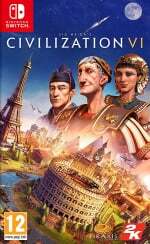 I love Civ and the excitment got the better of me. Then I remembered WWE 2K and now I'm praying that they actually made a decent port. I know 2K is just the publisher but you can't trust a AAA publishers nowadays. The fact 2K are publishing shouldn't impact the quality of the port at all. They're just putting the game on shop shelves. I bought Diablo 3 the other week, so I'm sticking with that for the foreseeable... unless I get bored of it, I expect it to easily take me up to Smash Bros launch, with the Mega Drive collection offering a casual drop-in game in-between. So it doesn't really leave any room for Civ 6, but I'll definitely pick it up in the New Year... probably around February once I've finished Super Mario Bros U Deluxe! When we can expect review from you guys? Hope this isn't a bad port. Local shops in my area don't seem to be stocking it. Only found it listed at Smyths toys and Game. One shop even said because of what they had seen and read on the internet that they won't be stocking it. Fingers crossed.